First off, Telekom Malaysia has been trying to get things moving for us in Malaysia, offering the fastest broadband so far to the central regions, Johor and Penang Island. Streamyx is the ADSL which offers download speeds of 384kbps, 512kbps, 1Mbps, 2Mbps and 4Mbps for the consumer and it had been known to be able to stream up to 8Mbps for some line. Since it is ADSL, the upload speed is capped at 384kbps due to the upstream frequency allocated by the ITU G.Lite which is at 25-130KHz and the download at 140-1100KHz having said that the audible bandwidth of 6- 1200KHz is what our copper and ears can take without much loss of signal. SDSL is a different thing all together, which is the reverse of ADSL. UniFi or United National Internet Fidelity service offers Video, Internet and Phone at the same time to the consumer and majority of which are served by FTTHx technology or Fiber To The Home Technology where a piece of fiber optic cable is split into many pairs (usually 8) and then split / spliced for sharing at the terminator unit. This is usually allows up to 500 homes per dark fiber cable which has 4 pairs in them. The main difference with Streamyx and Unifi at a glance is the Price and Digital IPTV Set Top Box that is provided with the service. For RM149, it offers 5Mbps service and a Digital TV box for you to watch TV on the RESIDENTIAL PACKAGE. Among other freebies are a free DECT Phone, Free Unlimited Landline Calls, WiFi Router and which is all guaranteed by TM for up to 12 months, whereas your contract is 24 months. Streamyx is 12 months contract. Unifi also offers packages of 10Mbps for RM199 and 20Mbps for RM240 although the fair usage policy is about 60Gb , 75Gb and 90Gb for the VIP5,VIP10 and VIP20 respectively. There is no capping for business users, but the price is at RM249, RM599 and RM899 for the BIZ5,BIZ10 and BIZ20 with Static IP assigned for the Biz 10 and Biz 20 with calls worth RM50 and RM100 included respectively. THE SPEED IS UNCAPPED so if you have VIP5 package, then you get 5M upload and Download speed! I copied this without permission from ViVr2.com ...as I can't find a 20M line to test. So if you want either streamyx or Unifi.. please sms me 017-4648814 with your details and I will get it registered and done up for you soon. 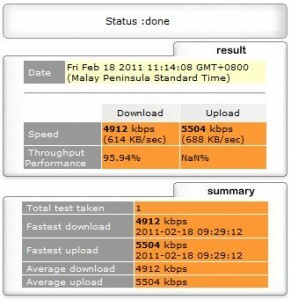 Do note that UNIFI waiting period is as long as 3 months due to the lack of contractors to install the service. So don't say I did not warn you. Can I use UNIFI to operate my fax machine ? this is bacause I intend to disconnect my streamyz line once I am on UNIFI. let me know if you want to sign up on Unifi. i would like to install UNIFI in my apartment in taman segar,cheras but i think my telephone line is not functioning as i think the previous tenant spoiled it. So,what can i do now?? call telekom to fix the telephone line first or call unifi contractor to fix the line and install the devices? ?